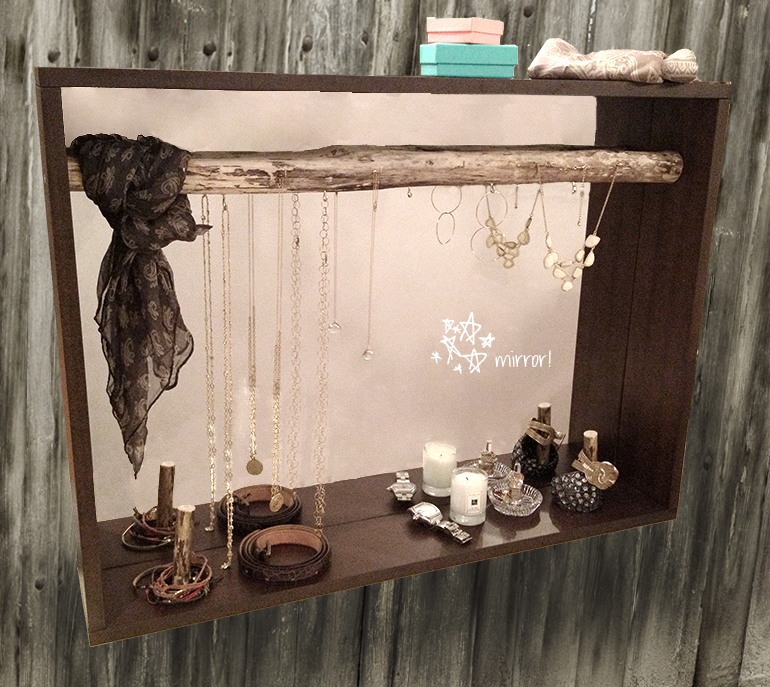 A great way to store, organize and display your favorite jewelry and trinkets! Made from wood, natural branches and pretty gold hooks, this clever wall-mounted piece has a recessed mirror and a convenient shelf. 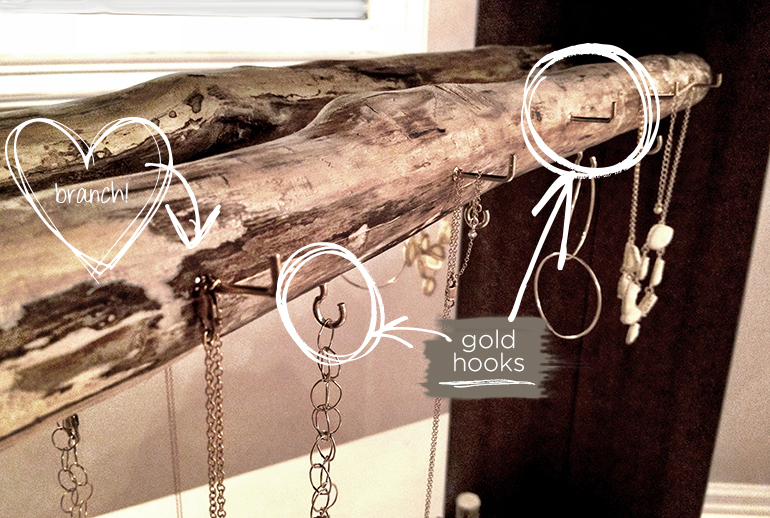 Hang your necklaces, stack your bracelets, display your ring holder, earrings, belts and watch!